It feels like it's been forever since my last post. Oh wait, it has been ages. Ok, more like two weeks but that's still a long time in the blogging world. I have had a hectic couple of weeks (mostly due to work deadlines) but I feel like I'm finally able to come up for air now so here I am! Despite my time constraints, I was glad that I was still able to cook a simple dish or two for dinner such as this vegetable Thai red curry. 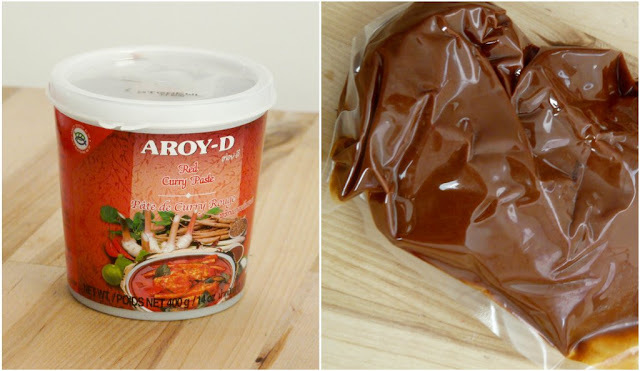 What helped tremendously was the use of prepared curry paste. I know some people avoid using prepared foods in their recipes due to artificial flavorings, coloring, etc., but when a prepared product like the curry paste I used had ingredients I recognized and could actually pronounce, why not? Dinner was ready in no time and it was delicious! lemon grass, shallots, salt, galangal, kaffir lime peel, coriander seeds and cumin powder. 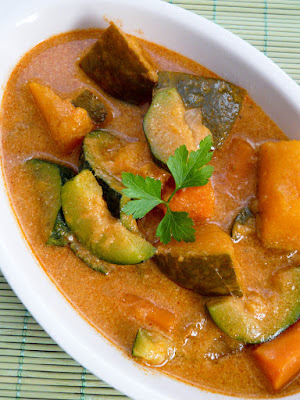 I decided to use kabocha squash (also called Japanese pumpkin) because I've been addicted to it of late. When sliced thinly and tossed with a little olive oil, salt and pepper and then baked, it becomes a wonderful, healthy snack that is full of flavor. 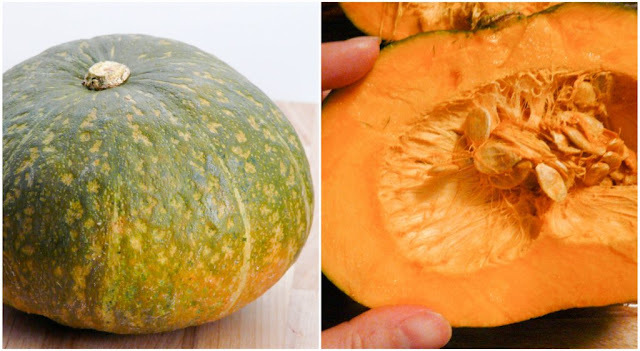 Kabocha squashes are loaded with nutrients like beta carotene, iron, vitamin C and potassium; yes, all the good stuff. Best of all, its skin is fully edible so no need to peel! 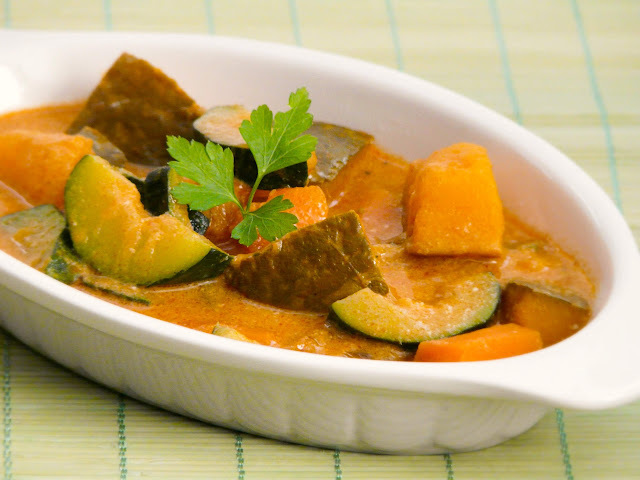 In addition to the kabocha squash, I also added carrots, zucchini and onions and it made for a very tasty and hearty meatless curry. Feel free to sub in any vegetables you enjoy or have on hand. In a dutch oven, heat the oil and saute the onions until softened. Add the curry paste to the oil and onions and continue sauteing for a few minutes, until the curry paste becomes aromatic. Add the can of coconut milk to the pot and whisk everything together to incorporate. Bring the mixture to a boil then add the carrots, zucchini and kabocha squash, fish sauce and water. Simmer on medium low heat until the vegetables become just about tender. Add the basil and kaffir lime leaves and simmer for another few minutes. Transfer to a serving bowl or dish and serve with steamed rice. This is my kind of grub, heart warming.